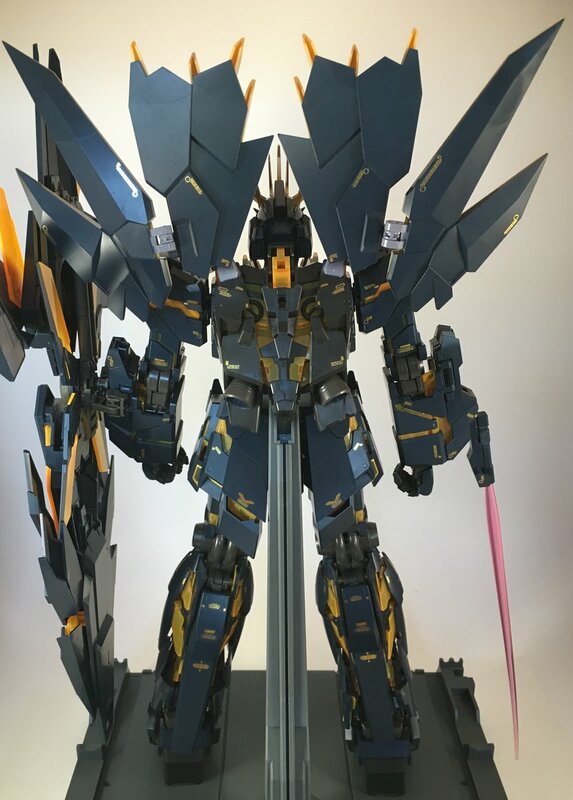 I'm proud o present the Perfect Grade Banshee! I built this kit to take a break of sorts after I completed the Hi Nu back in July. I wanted a kit that I could just snap together and have it look amazing, but I also wanted a challenge. So I figured I'd dive in deep and do a perfect grade; the most detailed and second largest kit size Bandai offers. It was a challenge in that there were a lot of parts, put the actual assembly wasn't difficult at all. 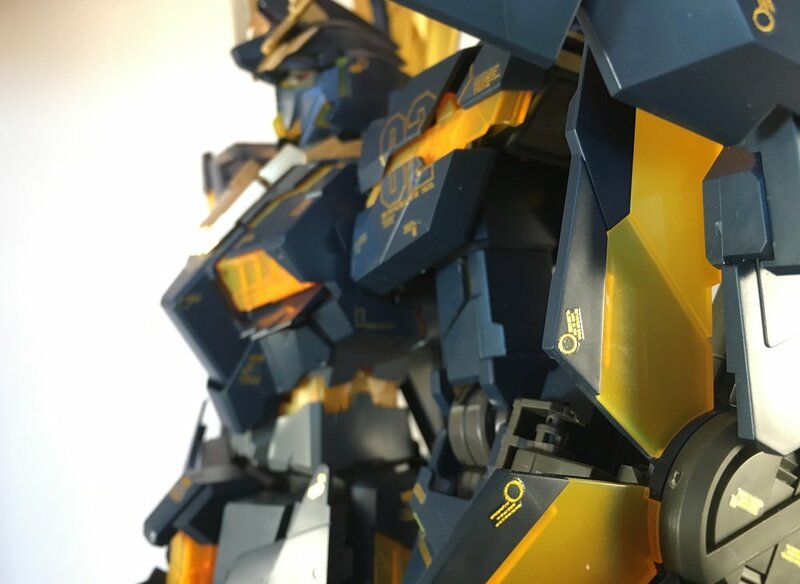 The kit is well engineered and if you can assemble a Real grade or Master grade, a Perfect Grade will be about the same level. The one thing I was disappointed in was that this kit comes with stickers instead of decals. I remedied this by ordering water slide decals from Samuel Decal on Facebook. I don't like stickers because they are thick and make the kit look more toy like. I like my kits to look more like a model than a toy, so I go with water slide decals whenever I can. They sit almost flush on the plastic and give it a better look, in my opinion. Alrighty, on to the pics! There are a few WIP pics to give you a sense of the overall experience. Look at that leg articulation! Business guns! This is the kit in regular mode, before decals. Here it is in a display case in our living room, with a MG Fenice and a Lego Tie Fighter. We likes to keep it real! This piece snapped as I was assembling the head. I used a pin vice (it's a small hand operated drill), a swing needlend thin cement to repair it. I had to repair it twice because it came apart the first time but it's held since then! Left over decals! The kit comes with regular stickers, so I ordered these water slide decals from Samuel Decal (find him on Facebook here). Thanks for swinging by and keep building!